The skills I teach are based on Operant Conditioning. These techniques are well established and understood and the are the foundation of all modern behavioral modification programs. 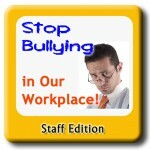 What I provide is training on how to apply these principles to the specific problem of bullying. 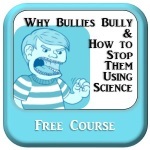 I you let me, I will teach you the science of HOW to get a bully to leave you alone. 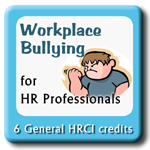 This training is designed to help your staff learn how to stop bullying, harassment and retaliation in the workplace using behavioral psychology techniques. This is not your standard harassment training that covers the law but doesn’t provide your staff with actionable intelligence. Instead, this course teaches them how they can change their behavior, regain control, and actually protect themselves if they are a victim. 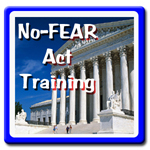 This program covers the required training on the No-FEAR Act along with a short unit on retaliation. We are an EDWOSB – see website for details and pricing. Jen Hancock did a training for my staff on bullying using a book she has published called The Bully Vaccine. It was very informative and many of my staff bought a book so they could use the techniques in therapy. I would highly recommend that schools and other community organizations take advantage of this training. Thanks so very much for being a part of our Parent Information Workshop series with such a wonderful presentation. Apparently, the attendees felt so as well. The feedback was excellent. 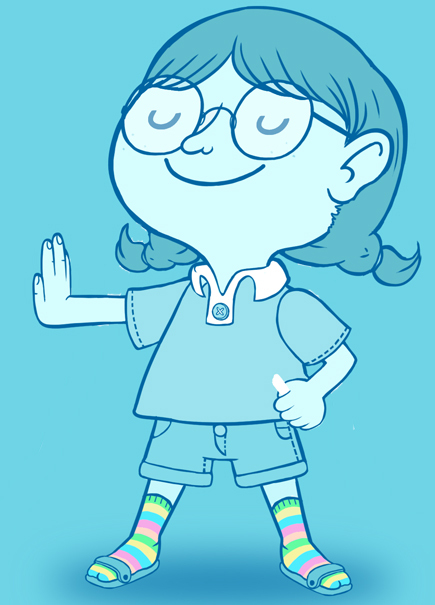 Knowing that bullying in schools can cause academic and social problems for students and contribute to a negative school culture, training kids [and their parents] on how to “inoculate” themselves as well as empowering them as by-standers is the key. Your approach to bullying, not only allows them to understand the psychology behind a bully mentality, but you also give real skills that work. All are so invaluable to a growing “health problem”. Thanks again for your time. I would love to have you back again at some point in the future. Jen recently visited The Arc of Luzerne County TRACE (Transition to Community Employment) program adult students for a session on dealing with harassment and difficult people via Google Hangout. These are students who all have histories of being bullied from childhood into adult life. Jen provided practical yet powerful techniques for diffusing hostile situations using many examples and stories they could relate to. Students immediately opened up to Jen through her patient and compassionate approach mixed with a healthy dose of humor. They felt comfortable relating their own stories and feelings of anxiety regarding uncomfortable situations they fear they may face in the workplace. After the session we held a classroom conversation about what the students learned. They all agreed that they now feel more empowered with a new perspective and verbal tools to disempower a bullying individual through the techniques Jen taught them. We now have 18 future additions to the workforce more prepared to enter it after our session with her. I recommend Jen for individual or group coaching and public speaking without reservation. 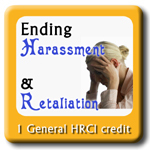 Available for programs and workshops within Florida as well as online presentations. Can custom design a program to fit your needs and your particular audience.